To say I felt like the black sheep is a massive understatement. I thought I was going to work for an English chap I had worked briefly with in the UK years before. He was the boss, I knew him, he would be my sponsor – it would be fine I thought. A great learning experience. A phone call a few weeks before I arrived in Abu Dhabi (UAE) in the Middle East changed all that. My English chap sponsor was no longer the CEO. Yikes! A new CEO would be appointed. Now all my work colleagues would be strangers and I’d be in a country a long way from home. My house was leased. My worldly possessions packed. I’d resigned from my job in Sydney. I felt like there was no turning back – I was in too deep. Upon arrival I was dazzled with the temporary all-expenses paid accommodation in Emirates Palace Hotel (the fanciest hotel I had ever seen). The company representative who was supposed to greet me at the airport didn’t arrive. No dramas – I found the driver and got to the hotel. Little did I know that was an early warning sign of a very different way to work than I’d ever experienced. The new boss was travelling on my first day. I was shown to my desk. Very clean. No computer. No phone. No stationery. Nothing but a desk. And no idea where I was or what I was supposed to be doing. And very quickly I realised no-one to ask. It was three days before anyone came to see how I was going. Three days without lunch too – I had no idea how to procure that. The new boss was also English. Pleasant chap. We agreed the company was without a strategy and I was to get stuck into fixing that. A direction and strategy is what I am good at. Or so I thought. Computer arrived. Phone arrived. Realised the assigned PA who spoke very little English was not going to work and hired in her place, the amazing Julia – an Aussie who had been successfully living the expat life in the Middle East for years. Instantly I was breathing easier – she was a fountain of knowledge starting with where I could get some lunch! My first tip to outperform in a multi-cultural environment is to align yourself with someone who understands the local culture, the cultures of your peers from other countries and your own culture. Julia was my saviour. She taught me all the etiquette I needed to know – handshakes, introductions, appropriate dress and meeting etiquette. And she was a friendly face – such a welcoming sight particularly when I was so far out of my comfort zone. Injecting the fun back into the workplace which was key in keeping me motivated and engaged. Off I went – full steam into understanding where the company was at. And seeking contributions from peers as to where we wanted to be. Organising ‘think tank’ workshops. Sub-committees. Engaging UK consultants. Asking ‘why’ at every given opportunity. Challenging decisions in the weekly Executive Management Team meetings. My energy and efforts were not being received well by my peers. What was I doing wrong? I was applying my hugely successful strategic planning tools from Australia to a new environment in the UAE. My colleagues had never seen them before. And didn’t like them. It was too much change too quickly. My second tip is to take time to understand the local work practices. Observe behaviours in meetings – who is aligned with who? Who are the decision makers, what are the decision-making processes? What drives these decision makers? Who is behind the numbers? Finding old information gives clues as to how they work. Save the challenging questions until you have settled in. So I sent the ‘Western style’ consultants back to the UK. I spent more time with the Emiratis and I read everything I could get my hands on to understand how business was done. I took bottles of water to team meetings and drank water every time I wanted to ask the bl**dy obvious question and I developed a layer of patience I never thought possible.…..my time to ask the tough questions would come. I was beginning to understand how and where business was done. Unfortunately for me business was usually late at night in the majlis – a place where women are forbidden. That’s okay I said to myself – I will just make sure I am aware of the business decisions once they are made. I looked for the positive way forward. I also started developing closer relationships with the few British and Australian peers on the Executive Team. We shared ideas, frustrations and concerns. They had been there longer than me and were a great source of information to me. I put my trust in them and was open with them. They would sponsor me – to the extent that an expat could sponsor another expat in the UAE. We talked about individuals – in particular our peers. I soon learnt that my suspicions were confirmed – no matter what I did I was never going to make it in the eyes of at least one peer. And possibly a few others. I appreciated knowing it was a cultural thing and not me – having a women at the Executive table was something some of my peers were not yet ready to accept. Tip number three is to know your allies and your enemies. And as they say – keep your allies close and your enemies even closer. Knowing it was not me personally that made me an enemy made it easier for me to do this. But it was hard. Routinely hard. Like the day my colleague said ‘do we have to listen to her?’ which was met with stony silence rather than any voice from around the table in my support. I had never been so poorly treated so openly before – not in more than 15 years in the industries with the lowest female participation rates. I needed ongoing support to adapt to this. I relied on my mentors. Former bosses and peers around the world who I knew I could call. It had been years in fact since my last call but they were there to lend support. Having some external opinions – from people I respected who were disconnected from the business – was invaluable. They helped me separate the emotion from the logic of my situation. They helped me ‘let go’ of the small stuff. They listened. And they put the spring back in my step – they gave my self-confidence the boost I needed. Every time. I connected more with my mentors during my two year stay in Abu Dhabi than in the rest of my career added together. No surprise that using your mentors is my fourth tip to outperform in a multi-cultural environment. As the months passed I developed a strategic blueprint that had buy in from my peers and my board. It took what seemed like an eternity and it was tough going but I got there. My adversaries tried their best to undermine me at every opportunity and derail the process. Despite trying every trick I knew it was glaringly obvious I was not going to be the one to change their mindset about gender diversity. I was flogging a ‘dead horse’. The most courageous career decision I ever made was deciding ‘enough was enough’ in Abu Dhabi. My adversaries behaviours were hurtful, demotivating and contributing to the evaporation of my self-confidence in the workplace. I decided the best move forward was to find a new environment – one where I was respected and valued. The answer was not to keep ‘banging my head against a brick wall’. In making this decision there was not a moment when I felt I had failed. Rather I felt liberated for having the courage to walk away from a dysfunctional and unhealthy work environment. And I have never looked back – my career has gone from strength to strength as has my self-confidence in the workplace. Whilst Abu Dhabi was not a long-term option for me, the lessons from my Abu Dhabi journey are endless and I share them often through my www.steelheels.com.au online mentoring platform. Despite it being a difficult time for me personally, I remain open minded and welcoming of the diversity multi cultural work environments offer, even when I am the ‘odd one out’. Regardless of whether you are part of a multi-cultural team in your home country or whether you are abroad I suggest these five tips to help you outperform. 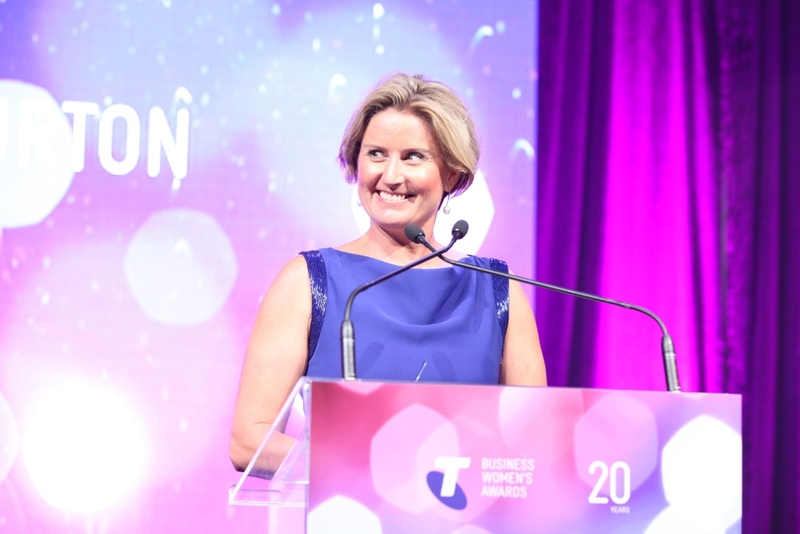 Sharon Warburton is the founder of Steel Heels, the 2015 NAB Women’s Agenda Mentor of the Year and 2014 WA Telstra Business Woman of the Year. And most importantly, she is Mum to 5-year-old Chloe.